The Netherlands’ Autoriteit Financiële Markten (AFM) is critical of freedom of choice in pensions as members do not always make the right choices, the watchdog said. In an investigation into the Improved Premium Scheme Act, introduced in 2016, which makes variable pension payments possible, AFM found that variable pension products bring new risks which not all pension providers deal with very well. It noted that while the number of pension participants who take advantage of this is small at the moment, but that it is growing rapidly. The review of the pension system is largely based on making it more customisable and allowing for more freedom, meaning providers must provide suitable options and good information. 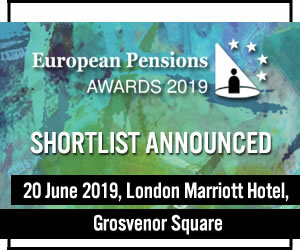 AFM chairman Merel van Vroonhoven said in a statement that the number of people opting for variable pension benefits is increasing rapidly and that with this early investigation, it hopes to prevent design errors which could become a much larger problem in a few years’ time. More freedom means pensions can be better tailored to individuals, which fits in with a changing labour market, AFM said. The study shows, however, that the 22 pension funds examined must improve the guidance for participants prior to retirement, especially to understand the importance and consequences of their choice. Since the introduction of the act, participants in capital and premium schemes have to choose between a fixed and a variable payment. With a variable payment, part of the accrued capital is invested, allowing for higher pension returns, but also for uncertainty. The success of this is, AFM said, is highly dependent on careful implementation, which does not happen automatically. “For example, the AFM sees that insurers do not ensure that variable payments only end up with participants who want to, and can bear, the risks. This is important because a benefit can increase by as much as 15 per cent in one year, but can also decrease. It also seems that participants are being seduced,” AFM wrote in its statement.